A booger of ice hanging from a branch after a winter storm. J.T. 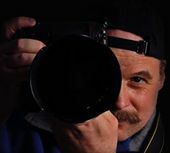 Lewis is a professional photographer located in Ontario's Niagara Region.